Get ready, the Hudson Restaurant Week is right around the corner and we couldn’t be more excited for the delicious week of feasting and dining that is upon us. 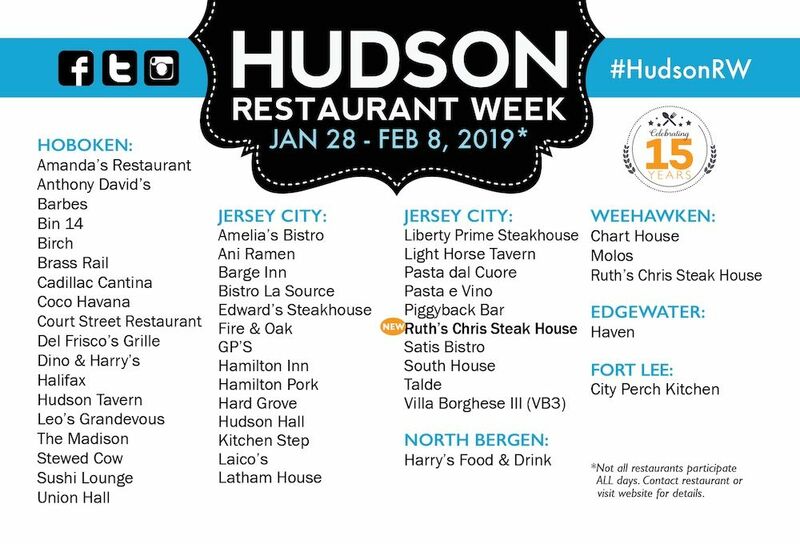 The Hudson Restaurant Week kicks off January 28 - February 8, 2019 for 2 weeks. Here is a guide to everything that you need to know about every foodie’s favorite week of the year. Hudson Restaurant Week is a bi-annual culinary celebration that promotes Hudson County as a premier dining destination in New Jersey. For two weeks dozens of participating restaurants offer unique three-course prix-fixe menus at affordable prices. Lunch and dinner menus include a choice of an appetizer, entrée, and dessert costing a set amount of $20 for lunch and $40 for dinner. Restaurant Week takes places for two weeks from January 28- February 8, 2019. Most restaurants primarily offer their special restaurant week menus Monday through Friday, while a select few additionally agree to participate over the weekend in between. Although no one is complaining about two weeks of affordable prices to the city’s best restaurants, curiosity can’t help but strike as to why restaurants would partake in this promotion. According to the organizers of Restaurant Week, the event was created in January 2005 as a result of conversations with local restaurants and taking into account that January and July are the slowest times of the year in the hospitality industry. Newport’s very own cozy modern-American grill Fire & Oak (479 Washington Blvd) has created innovative new menus for the event and will be participating in this year’s restaurant week. A full list of restaurants can be found here.